Grant Manier, an 18-year-old artist with Asperger’s Syndrome, recently traveled to New York City to participate in “Training the Talent of Artists With Autism” with guest lecturer Temple Grandin. In addition to attending the conference held at Pace University, Manier also met with New York galleries interested in his work. The trip was made possible thanks to a donation from CommonSource president and CEO Ann Zdansky. Zdansky has been a supporter of Manier since their first meeting in December of 2013, when she was captivated by his talent and enthusiasm for the artwork he creates. Shortly after their meeting, Zdansky commissioned a piece from Manier. 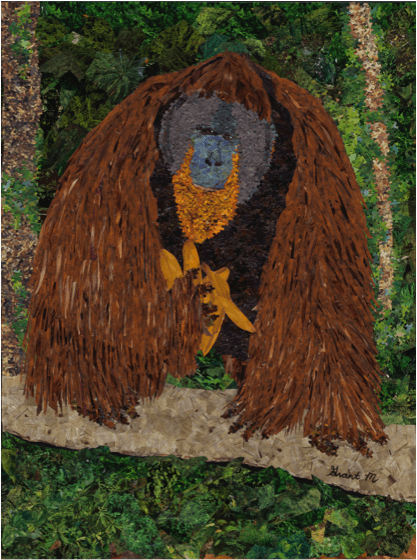 “Tom the Gentle Giant” is a large collage featuring an image of an orangutan — a species Zdansky has been fascinated with since her trip to Borneo in 2010. Prints of the collage, which is constructed from hand-torn recycled paper, are currently available for sale. A percentage of each sale will go toward Orangutan Foundation International. Those who order this print will also get a copy of Manier’s 2014 calendar. Last month, Zdansky purchased her second piece from Manier. “Mystic Mermaid,” a colorful collage, now adorns the foyer of CommonSource. 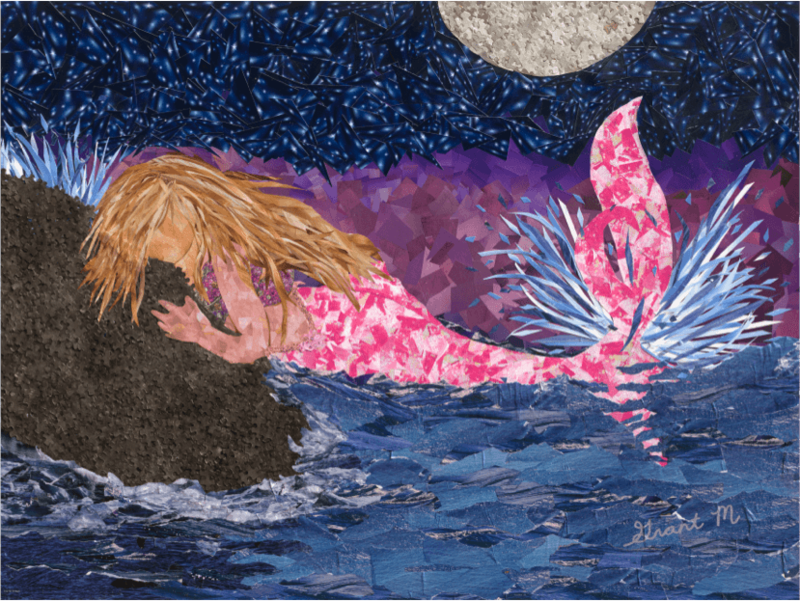 Zdansky has also committed to sponsoring Manier’s 2015 calendar, which will include a print of the mermaid collage as one month’s featured artwork. Founded in 1997, CommonSource is a litigation support and document management service provider with specialties in secure data hosting, electronic discovery, ESI Collection, document and book scanning, attorney review and more. CommonSource has been ISO certified since 2005 and is 100% HIPAA compliant. For more information about CommonSource, visit www.commonsource.com. Commissioned by CommonSource CEO Ann Zdansky, “Tom the Gentle Giant” was constructed by artist Grant Manier using more than 25,000 pieces of recycled posters, magazines and puzzles. “Mystic Mermaid,” one of artist Grant Manier’s recent works, now hangs in the lobby of Houston business CommonSource.